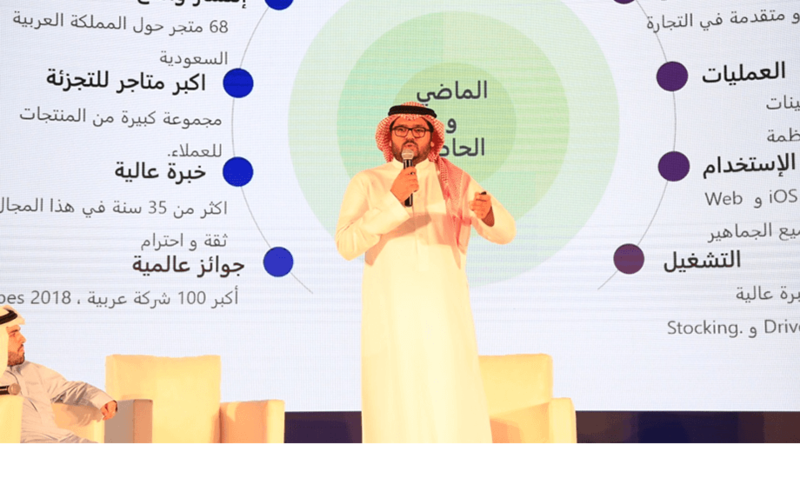 Jeddah, KSA; 17 October 2018: Danube Online and the Danube App took centre stage at this year’s Applications World Forum which ran from Oct 4-Oct 6, hosted by the Jeddah Chamber of Commerce. In its second year running, Applications World Forum gathers application owners, beneficiaries, investors and emerging projects in alignment of Vision 2030, and provides a platform for the region’s technology leaders to come together to discuss the current growth trends and future potential for applications in the Kingdom. Co-Founder & CEO of Danube Online, Mr. Majed M Al Tahan and CEO of DanubeCo Ltd. & BinDawood Stores, Mr. Ahmad AR. BinDawood presented a joint presentation to the forum’s delegates which delved into insights of how the e-commerce industry is set to evolve in future and the exponential growth opportunities for e-commerce in the Kingdom. Their presentation also detailed how since its launch in 2017, Danube Online and the Danube App has redefined grocery shopping in the Kingdom and become one of the biggest ecommerce grocery platforms in the Middle East. “It’s wonderful that the Jeddah Chamber of Commerce are such champions of innovation. By providing this platform and supportive environment for innovators, entrepreneurs and businesses alike to learn about enriched digital innovation to advance Applications in Saudi Arabia, the Chamber is a beacon for large and small businesses alike in growing e-Commerce,” said Mr. Majed M Al Tahan, Co-Founder and CEO of Danube Online. “As one of the biggest retailers in the Kingdom of Saudi Arabia, we are delighted to be at the Applications Word Forum to demonstrate how the Danube App is transforming grocery shopping in the Kingdom. Technology allows us to offer new choices to customers and consumers are embracing ecommerce,” added Mr. Ahmad AR. BinDawood, CEO of Danube & BinDawood stores. A key feature at Applications World Forum, the Danube Online stand was a high-tech colorful wonder at the event. Visitors to the stand got the chance to experience the Danube Online shopping experience first-hand with test-pods on the stand and with interactive engaging games for stand visitors and competitions run over the entire the three days. Danube Online and the Danube App provide convenient, fast and safe online grocery shopping, as well as exclusive offers, through our genuine end-to end- e-commerce platform.